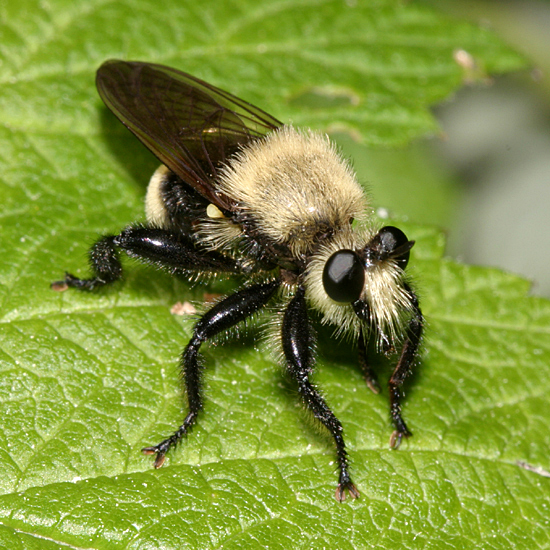 The scutellar hairs are black, and the yellow on the abdomen appears too far forward for Laphria divisor. Looks like possibly L. posticata. It looks just the other Laphria in the guide. Subtle, these Laphria are. This looks like L. divisor with the posterior segments being yellowed and the proximal abdomen black. Though it looks chunkier than my local divisor. Can't make it into anything else for now. for the ID's. I'll have to go through my older pictures and post other species I got on my web site.